In the 16 years since Super Smash Brothers: Melee came out, it has gotten harder and harder for Smash tournaments and pro players to keep using the controller for which it was originally made. GameCube controllers are getting old. The best ones are are hard to find and expensive to maintain. And some players complain that they cause hand pain. Yet the GameCube controller is the only controller that’s legal to use at Melee tournaments. It’s also the only controller that Nintendo ever made for Melee, the Super Smash Brothers game that kickstarted Smash’s competitive scene and is still popular at tournaments. Players, tournament organizers and other fighting game experts have had to confront the mounting problems that arise when a game relies on old gear. It’s all led to a debate about whether the GameCube controller should still be the go-to tool for Smash. The aging GameCube controller is a Smash staple, not just for Melee, but for the two more recent games in the franchise, which were released for Wii and Wii U. That’s partly due to 16 years of muscle memory, since many of those pros started out with Melee, but it’s also because the newer consoles’ wireless controllers are inferior to the wired GameCube option. The problems with the aging GameCube controllers afflict those scenes, too. If Smash were any other fighting game, there’d be alternatives. On PlayStation, for example, Street Fighter V can be played with the controller that came with the console, or with an arcade stick—be it an official Sony-licensed stick, or one made by established brands like Razer or Hori. Same goes for any fighting game on the Xbox. Players who specialize in other fighting games have a lot of options, with most pros using arcade sticks. An arcade stick for Smash would require some very thoughtful design. Controllers for most fighters need only one joystick and six to eight buttons. A Smash one would need more (maybe as many as nine buttons). The GameCube controller does all of that in a much smaller package. The GameCube controller just so happens to have a comfortable button lay-out for playing Smash. It has two joysticks, a directional pad, three shoulder buttons and four face buttons (not including the “Start/Pause” button). Every face button is a different size. The A button is huge. The B button is a small circle to the lower left, and the Y and Z buttons are oblong shapes up in the right-hand corner. This unusual lay-out emphasizes the most important button in Smash: the A button, required for the game’s key attack. The three smaller face buttons are in close proximity, requiring a player to move their thumb only a couple millimeters before returning it to the all-important A button. The first GameCube controllers came out in 2001 with the GameCube, and the last known run got released alongside Smash Wii U in 2014. It’s unclear if Nintendo still makes them. The company did not respond to request for comment about whether this run of controllers is still in production, or whether there is any future run of GameCube controllers planned. There are observable differences in quality in models from different years. So, not only do players need to find a GameCube controller in the first place, they also need to find one from the right generation of its manufacturing run. Otherwise, they’ll be stuck with some serious hardware flaws. Mike “Typo” Bassett previously worked with Mute City Customs to do professional repairs and modding of GameCube controllers and is himself a Melee aficionado with multiple world records in the game’s Home Run Contest. Over the past year, he has become a master at separating good GameCube controllers from bad—and determining which controllers are beyond help. 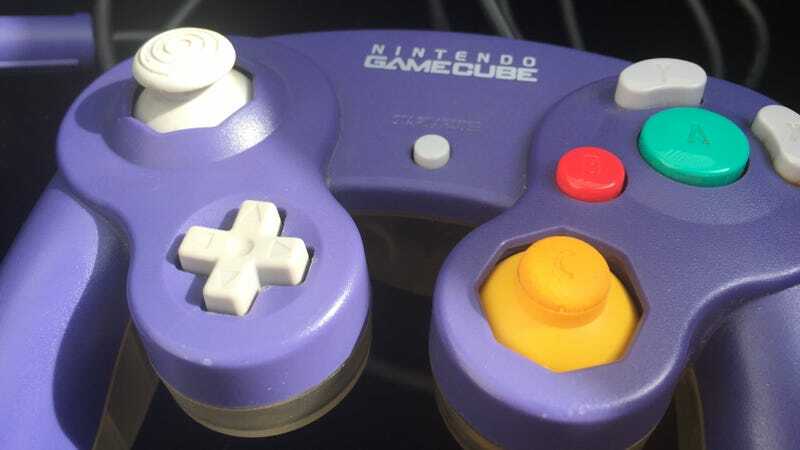 Nintendo has not released any information regarding the manufacturing process or parts in GameCube controllers, but according to Typo’s professional observations from modding and repairing these controllers, the main sticking point is the analog stickboxes. The stickbox is the analog stick’s cube-shaped housing, which is soldered to the inside of the controller. The first generation of GameCube controllers have analog stickboxes with an “almost universally undesirable feel and performance for competitive players,” according to Typo. These controllers make the analog sticks feel looser. They lack the satisfying spring resistance of the next generation, which came out from 2004 to 2008 and uses two different kinds of stickboxes, both of which are superior to the first run. Other manufacturing flaws, like stiff shoulder buttons, can be accommodated, says Typo: “clunky triggers can very easily be fixed by basic lubrication using thin silicone.” The analog stickboxes, though? Those need to be well-manufactured in the first place. Those analog sticks are key to performing moves that require incredible joystick precision, like dashbacking and shield dropping. These stickboxes can’t be easily replaced, either, since hardware modders get their parts from existing GameCube controllers—and, according to Typo, that market has been dwindling since Nintendo started phasing the controllers out of production from 2008 onwards. Manufacturing differences can impact top-level competition. Last April, a top Melee player had to drop out of a tournament because his controller wasn’t up to snuff. Specifically, his controller wasn’t consistent about executing a dashback, which is when a character dashes backwards from a standing position. The analog sticks on many GameCube controllers do not allow consistent deployment of this move. It’s a design flaw present in most controllers, and there’s not much hardware modders can do to remedy it. Another Smash move that asks a lot of the GameCube controller’s analog stick is shield dropping, which involves a Smash character dropping through a platform while shielding. The move exists in every Smash game, although the required analog stick angle varies across games. This is something that GameCube controller hardware mods can improve upon, such as by adding notches into the analog stick gate to better help players find the perfect angle to execute a shield drop. These notches can also wear down over time, though, necessitating continued expensive upkeep from the few GameCube controller modders in the field. Controller repair shops tend to charge about $30 just for shield drop notches. For example, MultiShine charges $135 for a full controller workup, plus a $20 service fee per controller. More prestigious controller repair shops, like Kadano and Mute City Customs, are not currently accepting new orders. That’s the other problem: having to wait for the few available repair specialists to find the time for you. Longtime pro Smashers can afford to buy and test multiple controllers to ensure the dashback can be executed, as well as pay for extensive hardware mods to make moves like shield dropping feel easier. But that means they have a clear advantage over everybody else, thereby introducing concerns about whether Melee is accessible enough. A 16-year-old game’s community can only survive if it keeps gaining new members, and Melee has a reputation for seeming esoteric and alienating to outsiders, in part because of the devotion to this old controller. Plus, even pro players with many controllers at hand can still have trouble finding controllers that can do everything necessary. In an ideal world, every controller would be created equal, but they’re not—and they never have been. “Having spent about a year intensely studying and working with hundreds of controllers, it’s safe to say that I see the writing on the wall about the future of our controllers,” Typo told Compete. That’s why he got involved with the development team for the Universal Controller Fix, or UCF, a new software mod for Melee that aims to correct for the increasing problems that players have had with GameCube controllers. The mod doesn’t make shield dropping or dashbacks easier for players to perform. The same precise angles and timing are required on the part of players. What the Universal Controller Fix does is increase the likelihood that Melee will recognize the correct inputs. Dan Salvato, one of the creators of the mod, explained to Compete that the dashback’s success depends on “the calibration of your control stick.” He said the same about shield dropping, which “requires extremely precise positioning of the control stick, leading players to either seek a controller whose gate corners are within that range, or to cut notches into the chassis for the stick to fall into.” The Universal Controller fix “allows for any controller to consistently perform both of these techniques,” thereby reducing the element of random chance and also reducing the reliance on hardware mods and repairs. The UCF only applies to Melee games, which have this problem the worst. Controller responsiveness hasn’t been as much of an issue in Smash Wii U, since that game is more forgiving when it comes to registering precise inputs, whether from the GameCube controller or any other. This software mod for Melee aims to make the 16-year-old game similarly forgiving. For the moment, the UCF only addresses dashbacks and shield dropping. Salvato says that future iterations of the mod could account for other moves that are hard to execute on an aging or substandard controller. The UCF aims to reduce the problem of the “controller lottery”—which is to say, the problem of players trying and failing to find controllers with the right kind of analog stickboxes. 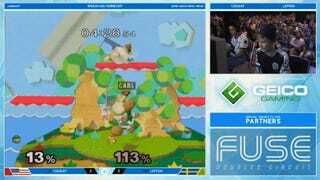 Shine 2017, a tournament held in Boston last month, was the first major Melee tournament to incorporate the UCF into all competitive brackets. The tournament’s organizer was the one who commissioned the mod from Salvato in the first place, in response to competitors’ concerns about GameCube controllers, hardware mods, and questions of unfairness. Unfortunately, the UCF’s debut had a hitch. Partway through Melee finals, Shine 2017’s organizers realized that the UCF hadn’t been turned on, although it had been on for all preliminary brackets. Because of this oversight, two competitors had to come back on stage for a controversial rematch that resulted in a different winner. Melee fans speculated as to whether or not the mod made enough of a difference to justify the rematch. At any other Smash major, the initial matches would have counted, since the UCF had never been used before. However, Shine 2017’s organizers stood by their decision. Compared to other controller-related mods for Smash games, the UCF is conservative. It only makes a couple of specific changes. Aside from the unpopular rematch at Shine 2017, few Melee fans have argued the mod seems unfair. GameTyrant Expo, hosts of the next Melee major, just announced that they will be using the mod. By contrast, hardware mods for Melee controllers have sparked serious debate among pros and tournament organizers. The hottest debate in Melee now revolves around whether or not it should be possible to compete with anything other than the GameCube controller. That question has come up because of concerns that the GameCube controller has damaged the hands of people who’ve wielded it for many years. The topic is very important to Aziz “Hax” Al-Yami, a former Melee pro, who began experiencing hand pains in 2014. Hax stepped away from competing in Melee, went to see 10 hand surgeons, got surgery on his wrist, and returned to playing the game in 2016—only to step away again due to a severe flare-up in hand pain. In a blog post about his injuries, Hax said the pain “did not gradually develop over time,” but instead seemed related to a specific Smash game: “There was a distinct moment on May 5th, 2014 where I was doing backwards waveshines against a Jigglypuff player in friendlies with my left hand extremely tensed. I felt an explosion (best way to describe it) in my left wrist… I’ll be honest at this point, there’s a chance I never make a full return. My left hand feels ruined beyond belief.” Since retiring from Melee, Hax has been able to play games that require a mouse and keyboard. He is currently a Diamond-ranked player in League of Legends. It’s important to prevent that damage, because for the moment, Melee tournaments do not allow the use of any other controller besides the GameCube controller. Players who have debilitating injuries seem to be out of luck. Hax hasn’t been willing to accept that. He’s spent his Melee retirement seeking other controller options that don’t put the same stress on his hands and wrists. There are no Nintendo-produced alternatives to the GameCube controller when it comes to playing Melee, so Hax has looked into independently developed controllers, such as the SmashBox, a Melee controller that looks like an arcade stick... but without the stick. The SmashBox has all buttons and relies entirely on digital inputs. At first, Hax worked with the SmashBox team on their controller, and later stepped away to develop a similar box controller called the B0XX. When asked for comment about his hand pain and his retirement from Melee, Hax told Compete he is “extremely busy with B0XX stuff these days” and did not have time to provide any further details. Hax has asked tournament organizers, including those at Shine 2017, to allow players to compete using independently developed box controllers, like the B0XX and the SmashBox. Last week, the tournament organizer(s) for Beyond The Summit agreed to accommodate Hax’s box controller at their Smash invitational this November, provided Hax secures a slot in the tournament via fan voting. However, Smash Summit is more of an exhibition of personalities; it’s not a major tournament with entry available to the general public. Other Melee tournaments have been much more hesitant about allowing the use of non-GameCube controllers due to concerns about fairness. This past January, Smash tournament Genesis 4 did allow competitors to use box controllers on a trial basis. According to the tournament’s organizer, though, that concession was only made to accommodate competitors who had signed up without realizing their controllers would be banned. The Melee community has not yet determined whether these box controllers are equivalent to GameCube controllers, or whether they make the game too easy, since these box controllers don’t have analog sticks at all. This means that all directional movements can be performed via digital button inputs, thereby evading the GameCube controller’s problem of unpredictability in analog joystick behavior. These questions of unfairness are ironic, given the controller discrepancies that already exist between different GameCube controllers, although the UCF does aim to correct for that problem. Melee tournament organizers have been hesitant to throw yet another variable into the mix. Most Smash tournaments have instituted a ban on anything other than a GameCube controller, thanks to a new codified ruleset from a competition committee made up of Smash tournament organizers and pros. This new ruleset aims to standardize practices across all Smash tournaments. Since the Super Smash Brothers competitive community operates without Nintendo’s support or resources, all of these initiatives are community-run. That’s also why it’s possible for the Smash community to seriously consider a standardized implementation of a software mod like the Universal Controller Fix—something that Nintendo would probably not allow, were they involved. And that’s why there’s still a community playing a 16-year-old game on very old controllers. The Smash scene doesn’t rely on corporate support to continue, unlike other fighting game communities, which tend to say goodbye to old fighting games once their sequels come out. The Melee competition committee’s ruleset described the classic GameCube controller as “somewhat intrinsic to what we consider ‘playing Melee’ and the skills involved in doing so,” although the rules clarify that the ban on box controllers is “tentative,” pending further tests of what these controllers can do and whether they are fair. Nintendo has yet to announce whether Smash Wii U, or any other Smash game, will become available on the Nintendo Switch. At this time, there isn’t a way to use a GameCube controller on the Switch. Typo speculates that, if Smash gets ported to the Switch, players will gravitate towards the Switch Pro Controller. Hori also has made a wired gamepad for the Switch that is similar in shape to the Pro Controller. So, even if the GameCube controller isn’t available, there are viable options. The Smash community has been reluctant to move on from the GameCube controller, thanks to tradition and nostalgia, but the Pro Controllers for Nintendo consoles offer at least one potential alternative. For Melee players, though, there’s no option as good as the original thing… well, not too original. You wouldn’t want those first-generation stickboxes.